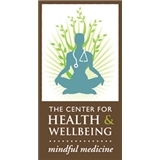 The Center for Health and Wellbeing (San Diego) - Book Appointment Online! San Diego’s premier integrative medical practice that has been providing a healing experience that bridges the gap between conventional allopathic medicine and alternative and complementary therapies for more than a decade. Our practitioners work as a team in a healthcare continuum that emphasizes prevention, education and lifestyle management to assist you in achieving optimal health and wellness; mind, body, and spirit. The Center for Health and Wellbeing - The integrative philosophy believes that health is more than the absence of disease; a person is more than their symptoms, healing requires a whole-person approach, and empowered patients make long-term and lasting changes that support healing and optimum health.